One of the best ways to make bacon is in the oven. I know that there are all kinds of methods for making it more crispy or less crispy, a little less greasy, a little more chewy and more, but I prefer this style. 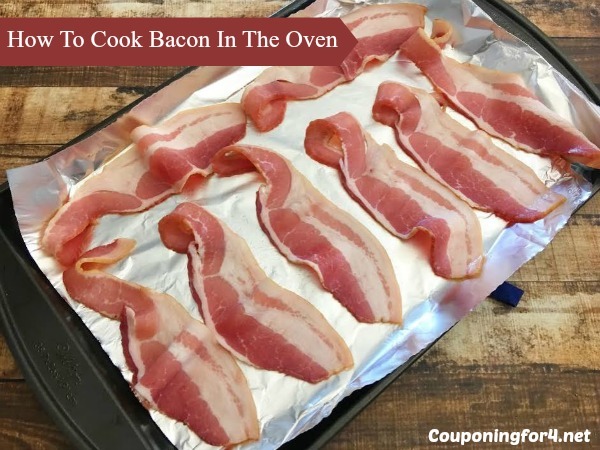 Here is one great way to cook bacon in the oven that will leave your cleanup minimal and your bacon delicious! reheat your oven to 400 degrees. Line a baking sheet with aluminum foil. Place 8 slices of bacon onto your baking sheet so they are not touching. Pinch your bacon towards the middle top and middle bottom to create a wave shape (this will give your bacon a pan fried look.) Cook for 15 minutes or until crispy. Use your tongs to place your bacon onto a paper towel lined dinner plate to soak up any excess grease. Dispose of your aluminum foil, rinse of your pan and you’re good to go. Serve your bacon and enjoy! A few things – first, this will leave your bacon medium crispy. If you want it more crispy, lay your bacon on a baking rack on top of your baking sheet. 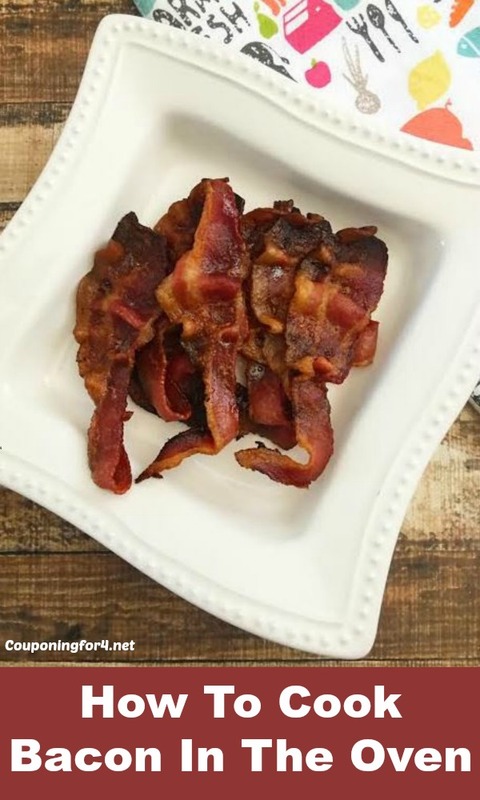 Line the baking sheet with aluminum foil for easy cleanup and be sure to keep an eye on your bacon this way! If you leave it too long on the rack, you’ll have what looks more like bacon bits. If you find that happening, toss them in your scrambled eggs, on a baked potato or in your pasta! Place 8 slices of bacon onto your baking sheet so they are not touching. Cook for 15 minutes or until crispy. Use your tongs to place your bacon onto a paper towel lined dinner plate to soak up any excess grease.